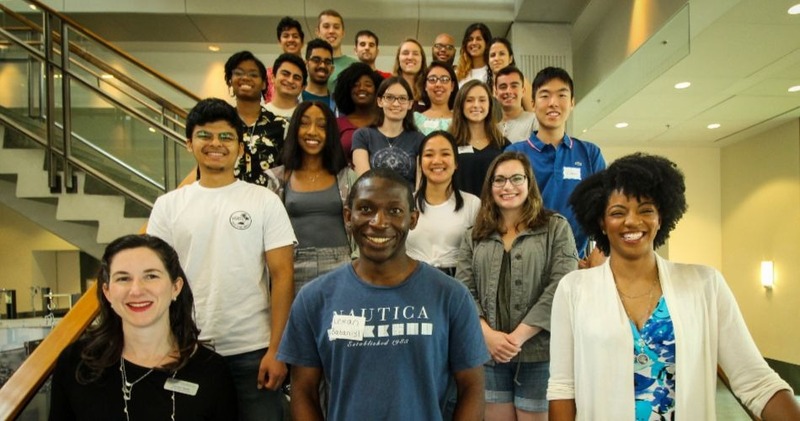 The Pratt School of Engineering at Duke University is offering a National Science Foundation (NSF) Research Experience for Undergraduates (REU) program during the summer starting in 2018. Through this REU program, students will have the opportunity to work on a research project related to solving one of the Grand Challenges of Engineering for the 21 century. The Grand Challenges of Engineering are fourteen complex tasks aimed at ensuring the resiliency and the sustainability of the world's population and of future generations. These challenges include vital objectives such as: reverse-engineer the brain, make solar energy cost-competitive with coal, engineer better medicines, provide access to clean water, secure cyberspace, advance learning tools to deliver better education, among others. In addition to gaining technical skills and fostering creativity by conducting research with world-renowned faculty at the Pratt School of Engineering, participants partake in a wide-array of enrichment activities designed to explore career opportunities in engineering, enhance science communication and writing skills, and expand your network through fun social activities with your fellow REU participants and other members of the Duke community. Research projects for summer 2019 have been posted.